← Baltimore Screening Pass-palooza: “Girl’s Trip”! Who doesn’t love a wonderful story about love, marriage, and friendship? Haters, that’s who. 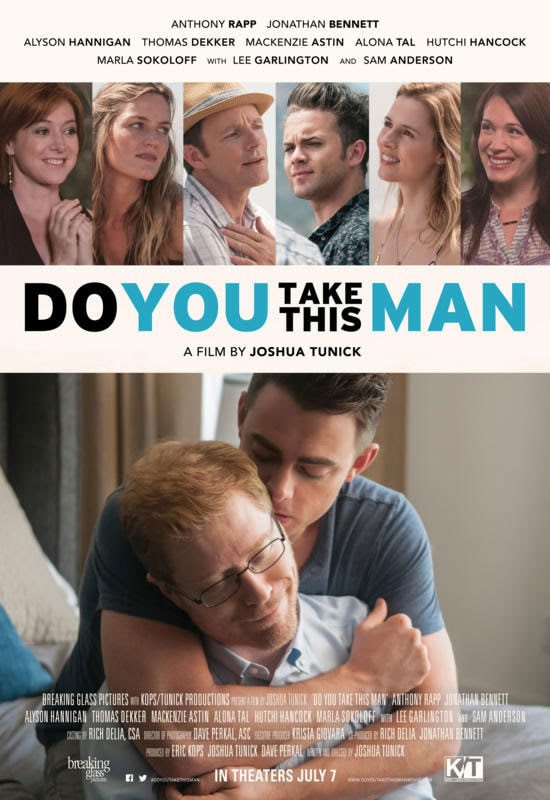 And you definitely won’t hate this trailer for the new film Do You take This Man. Why? Because it’s all sorts of adorable, sweet, touching and lovely. What? I’m really digging it. Synopsis! OH MY GOD IS THAT ALYSON HANNIGAN? She’s so awesome #ForeverWillow…but then again so is this trailer. You guys, I think I need to see this one. I love a good friends-coming-together film, but this one really has a lovely vibe. Check out the trailer and see for yourself. Do You Take This Man hits theaters tomorrow, July 7th, 2017. This entry was posted in Movie News, Trailers and tagged Indie Films, Movie News, Movie Trailers. Bookmark the permalink.